Rabbi Dr. Israel Drazin, Author. "Fascinating aspects of Judaism. Eye-opening." The Columbia Review. In “Mysteries of Judaism,” prolific author Rabbi Dr. Israel Drazin uncovers fascinating aspects of Jewish holidays, beliefs, and attitudes. Brims with deep and wide knowledge of Torah, Mishnah, Talmud and later Jewish writings, Dr. Drazin’s conversational style offers a frank and readable discussion of otherwise complex—and possibly troubling—subjects. 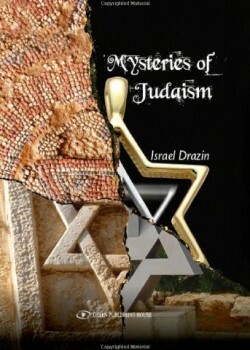 “Mysteries of Judaism” is divided into three parts: The evolving nature of each of the Jewish holidays from biblical times to today, the gradual transformation of Jewish laws, beliefs, and customs under succeeding rabbinical generations, and the onerous regression of the Jewish woman’s role and status under rabbinical laws. This seminal work tackles a fundamental yet seldom discussed phenomenon in Jewish life – the continuing process of substantive change that had lasted from antiquity through modern times. In clear and dispassionate detail this book shows that observant Jews today practice a massive set of religious laws that were not, as many would believe, handed down by God on Mount Sinai, and were not, as most rabbis would insist, wholly rooted in the Holy Torah of biblical times; rather, Orthodox Judaism of today is an amalgamation of rules and regulations that have accumulated over centuries through rabbinical creativity. In summary, this highly credible scholarly work is easy to read, thoroughly interesting, and genuinely thought provoking.